The Lithuanian biotech sector‘s sales have grown by about 22 % each year for the last 5 years according to the Lithuanian Biotechnology Association. Two modern biotechnology companies: Fermentas Ltd. and Sicor Biotech Ltd. operate in Lithuania for more than 10 years. The sales of both companies in 2007 exceeded 28 mln. Euros. The enterprise of biotechnological pharmacy Sicor Biotech Ltd. in Lithuania is producing recombinant proteins for medical use (interferon α-2b, human growth hormone, granulocyte colonies stimulating factor, erythropoietin). It is the only factory of such a profile in Eastern and Central Europe. Sicor Biotech Ltd. is a member of TEVA group (TEVA Pharmaceutical Industries Ltd., Israel). 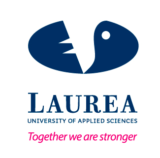 It has strong and very well equipped research centre, developing technologies for production of recombinant proteins. The Lithuanian government has increased funding of biotech research in the last five years and established new programs such as the Industrial Biotechnology Program. Very appropriate, this year’s ScanBalt Forum takes place in Vilnius 24-26 September, organized by the Institute of Biotechnology and the Lithuanian Association of Biotechnology and in parallel with the annual ScanBalt Biomaterial Days. The responsible organizer of ScanBalt Forum 2008, dr. Daumantas Matulis, the head of Laboratory of Biothermodynamics and Drug Design, Institute of Biotechnology, says: “The growing importance of life sciences and biotechnology in Lithuania is being recognized with ScanBalt Forum 2008 to take place in Vilnius. This is a chance to promote Lithuania as an attractive place to work, live and invest. 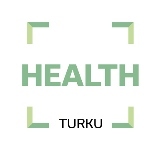 We intend to further strengthen our position as a strong player within life sciences and biotechnology in the Baltic Sea Region – also called ScanBalt BioRegion”. 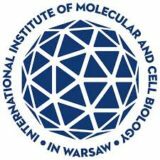 IBT is State Research Institute and the leading biotechnology center in Lithuania active in multidisciplinary studies of restriction – modification enzymes, and the research and development of recombinant biomedical proteins. IBT has 7 laboratories specializing in Protein-DNA Interactions, Biological DNA Modification, Prokaryote Gene Engineering, Eukaryote Gene Engineering, Immunology, Biothermodynamics and Drug Design and Bioinformatics.